2016 Land Pride SSP1596 for sale in Canastota, NY. 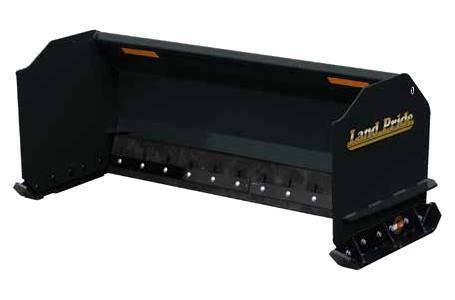 White's Farm Supply, Inc.
Land Pride's SSP15 Snow Pushers are available in 3 popular sizes to fit your skid steer or tractor loader. The 15 Series is manufactured with a 30", 10 ga. moldboard and 1/4" side panels with 3 models available in 72", 84", and 96".All models come equipped with AR400 skid shoes that are, adjustable, reversible, and replaceable. Weight with rubber Blade: 603 lbs.